The purpose and overall goal of Pre-Anesthesia Screening (PAS) is to gather the clinical information necessary for the safe and effective administration of anesthesia through a process that is convenient for patients and physicians and results in efficient surgical throughput. This makes it more difficult for nurses and anesthesiologists to get the information they need about patients and to initiate any remedial action (e.g., lab testing, cardiology consults, x-ray exams) warranted by patients' condition. 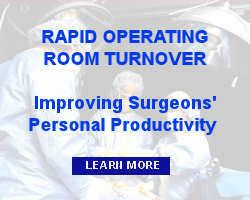 Oftentimes the results are delays, postponements, and cancellations of scheduled surgery with patients and family being dissatisfied and physicians and staff being unproductive.